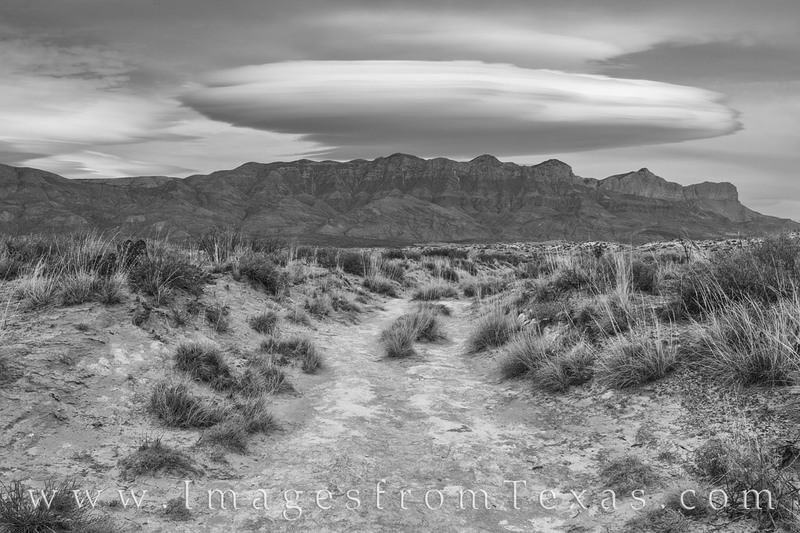 From the Guadalupe Mountains, this rare lenticular cloud appeared as I was driving towards the Salt Basin. Fortunately, it lingered and allowed me some time to capture it from the trail that leads out to the sand dunes. This black and white image was taken in the evening in early March. Photo © copyright by Rob Greebon.